I just starting learning how to create Android apps yesterday. I buy android app template from CodeCanyon and starting editing the code and image. After run my app on emulator I just realize that app icon still use old image file. I try restarting Eclipse, Clean project, but not fix the problem. And then i found one simple solution. If you want to force Eclipse use new edited resource all you you to do is drag your new resource file from Wndows Explorer then drop on resource folder on eclipse. 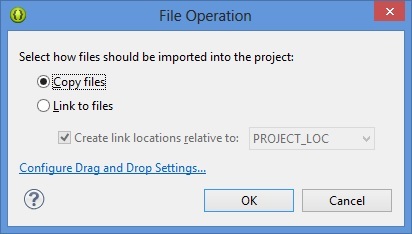 Dialog ox will come up, choose copy files then choose OK. Eclipse will ask if you want to replace old resource, click Yes. Finish.